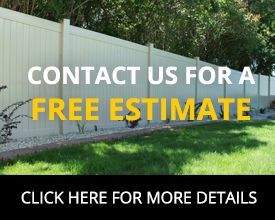 Blog Archives | Gold Star Fencing Inc.
Gold Star Fencing Inc is looking for an experienced fence installer. We are located in Okanagan Falls, BC, and we service Penticton, Summerland, Peachland, Oliver, OK Falls, Osoyoos and more. 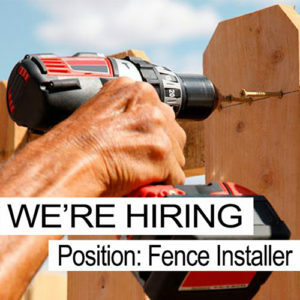 The right candidate should have at least three year’s experience with chain-link fencing, as well as one or more years of experience with ornamental, vinyl and wood fencing. Attention to detail and ability to lift, up to 75lbs, is required. This position is for full-time hours, and wages will be based on experience. 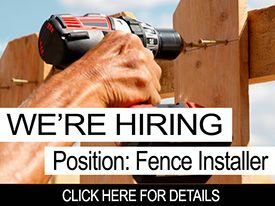 Thinking of installing a fence in your yard? There are many choices in the market for different materials that can be used for your fence. There are wood fences, aluminum fences, vinyl fences, and chain link fences. Each kind has its own advantages. In this article, we will discuss the benefits of choosing a chain link type of fence for your own backyard. It provides security and protection. Perhaps our primary purpose of putting up a fence is to protect ourselves. It sets the boundaries of our properties, and discourages thieves because they can easily be seen from the outside. It is cheaper. This type of fence is definitely much cheaper. It is cheaper than wood and vinyl. When it is used in properties that cover a large area, like a playground, park, or a sports area, this type of fence can be cost effective. You can see through it. Chain link fences protect us from intruders and trespassers as it puts a border in our territory yet it allows us a full view of the outside. It also allows sunlight in. It is easy to install. For the do-it-yourselfers out there, this is an easy step-by-step job. For those who don’t want to get their hands on the dirt, there is no problem. Simply, dial a professional and choose your style and color from any hardware shop. Chain link fences are durable. Ones that were installed more than twenty years ago, can still be standing erect to this day. They don’t wear out in harsh weather, and they never have to be painted or cleaned. Our new website is nearing completion. We look forward to connecting with our friends, neighbours and customers here on our blog.